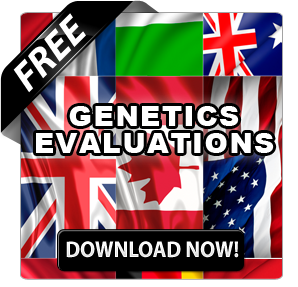 Canadian Genetic Evaluation System: Who’s Leading? Who’s Following? 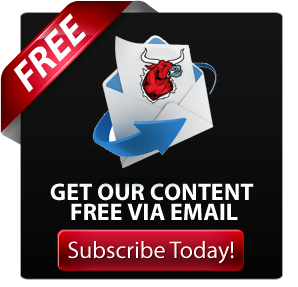 Who’s A Few Bulls Short of a Proof Run? 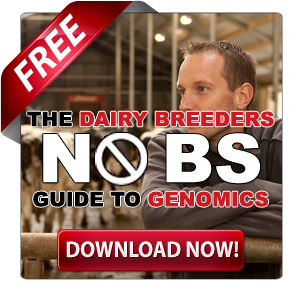 Are you anxious about where dairy genetics are heading? How are you affected by the impact of genomics? Do you have concerns about health and fertility? What about the over-riding pressure to be profitable in a dairy genetics marketplace that sometimes resembles a global roller coaster of competing proof runs and bull lists? Last week, I attended the Open Industry Session presented by CDN on behalf of the Genetic Evaluation Board. I went into the meeting feeling interested and invulnerable because, after all, what you don’t know can’t hurt you. Right? But I soon learned I was wrong and not just because I was “a pair of genes short of a geneticist”. DAIRY INDUSTRY TODAY: In the Running OR Run of the Mill? On the plus side the Open Industry Session provides an opportunity for the manager and staff of CDN to demonstrate how they are fulfilling their mandate to fine tune genetic evaluations. It’s exciting to catch the enthusiasm for making genetic progress. As pointed out throughout the day, a key measure of that progress is whether the science, the research and the results can be translated into on-farm applications for management, breeding and profitability. 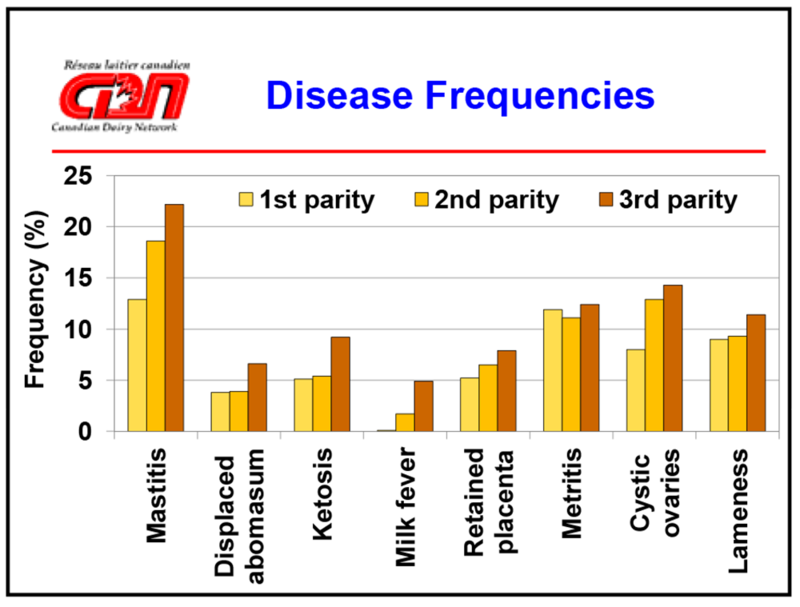 Mastitis is at the top of the list of 8 diseases that have an economic impact on dairy herds. Identifying genetic markers could have a significant effect on dairy profitability. As with any index the quality of the data is the game changer here. 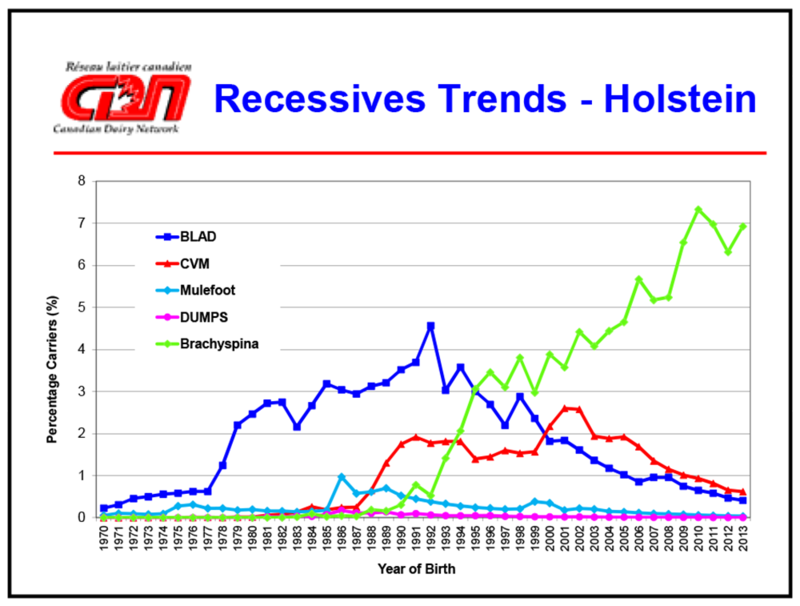 Since 2007 40% of Canadian breeders have mastitis recorded. Prior to 2007 there is “ZERO” data. The good news behind those stats is that it is possible to build an index using correlated data from SCS and Type indexes. In fact it was reported that Reliability gains were significant from using a multivariate model combined with historical data. The new genetic evaluation for Mastitis Resistance incorporates three predictors – Somatic Cell Score, Udder Depth and Fore Udder Attachment – as well as recorded mastitis, Body Condition Score and several other measurements associated with somatic cell count. It reduces complexity by having one index that puts all the data together. This approach results in an evaluation that explains as much as 72% of the genetic variation in Mastitis Resistance and increases the accuracy of genetic evaluations provided by CDN. 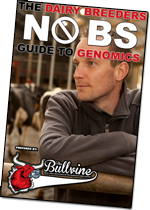 Simplified estimation of DGVs allows CDN to move forward to more frequent releases of genomic evaluations for genotyped heifers and young bulls. Couldn’t help but sense the attention when BVD said, “We could release and update on a weekly basis.” The logistics appear to be fairly simple. “DNA genotyping labs would need to move to “continuous” genotyping for dairy animals.” VanDoormaal feels that at least moving information turnover from monthly to weekly (roughly from the current 6 weeks to 2 weeks) expands the opportunity for better decision making. Genetic evaluations depend on data. Huge volumes of data. And not only is that data collected in 30 different countries but also with different methods, weighting and formulae. This means that bias is present and must be accounted for. 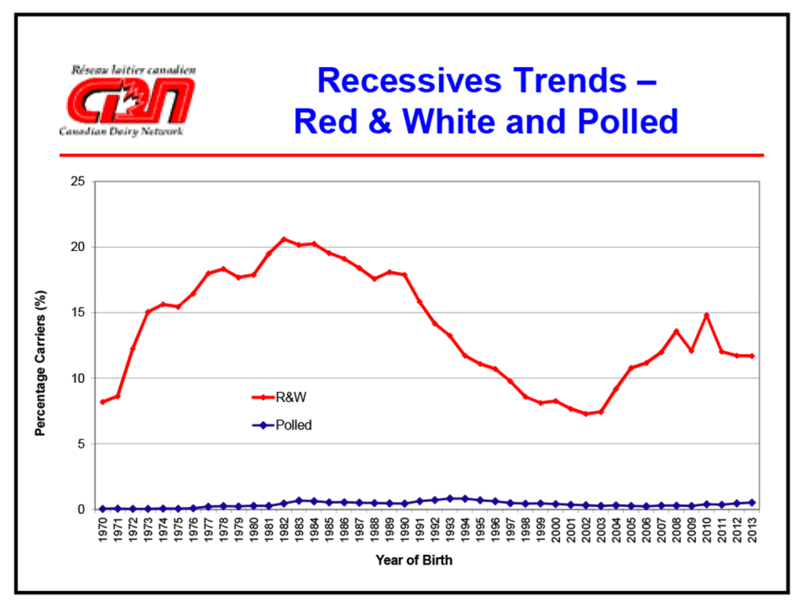 Canada has made extra effort to ensure that young bulls are not over-inflated relative to PT (progeny tested) bulls. Interbull GMACE can only recognize our GPA’s if we participate. Italy, UK Canada and USA all plan to participate. 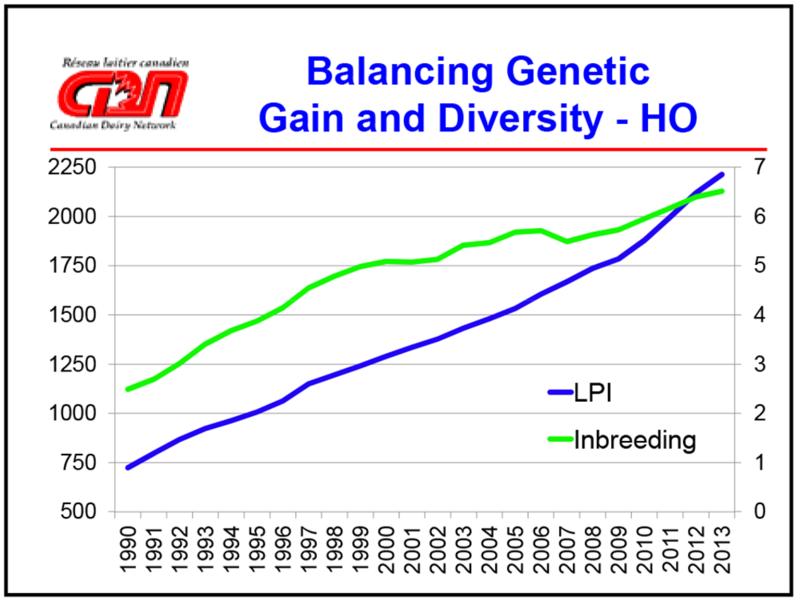 One of the most interesting opportunities for those at the industry session is seeing graphs demonstrating challenges, opportunities and actual genetic progress. 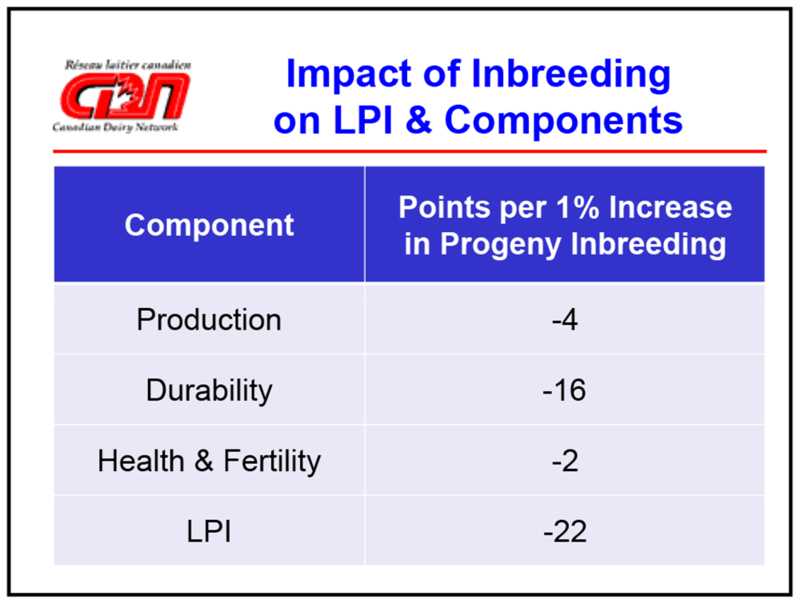 150 LPI points of genetic improvement represents $23.5 million dollars. 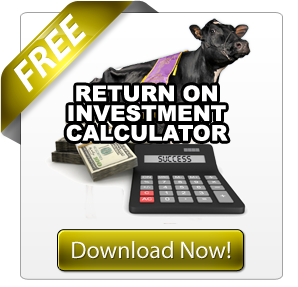 With the right indexes and the right data it is ultimately possible to quantify the dollar value of right decisions vs. wrong decisions on heifers to keep as replacements. Especially as regards inbreeding, dairy breeders are not paying enough attention to inbreeding. Therefore including it in the formula is a step forward. There isn’t significant loss in genetic progress but there is going to be population gain in having outcrossing taking place. Adjusting Mendelian Sampling, by using only cow indexes based on male ancestors, can detect biased cow evaluations and thus determine the ones that are outliers (i.e. deviate excessively from Pedigree Index). Each one of these breakthroughs represents tools that can be applied to improved profitability for the industry. Everyone attending the Open Industry Session requires dairy profitability for their daily survival whether that happens in a barn, an office, research lab, or at an editor’s desk. That is probably why ears perked up when the $7500 per bull fee for genetic evaluation results was raised … again! It is a contentious issue for those A.I. organizations and some breeders who feel that they freely provide the information which becomes available to 30 countries. Therefore it should be available back to them. Some feel the cost is too high. Others are concerned that too much or not enough information is disclosed. This oft-recurring and touchy issue makes its way to every open meeting where it is consistently deflected with the answer, “Fees are a policy decision not a genetics issue!” Well then if this is an “open” session. Who sets the policy? Who sets the fees? Who collects the money? What is it used for? If three out of four of these questions have the same answer, then let’s get to the table and make the decision and then live with it! THE LANGUAGE OF PROFITABILITY! Bulling for Dollars! The meeting started seeing dollar signs again, after another perceptive question was raised, “If LPI is Lifetime Profit Index where does the Profitability come in?” It was agreed that the aim is the profitable cow and we could do a lot better job of expressing the profitability value in dollars which is a language everyone understands. That led to an “Aha!” moment! It doesn’t matter how clear and accurate our calculations are, if they don’t translate well into the commerce side of the marketplace. The key word here is “translate”. For those working in the global marketplace, language is another hurdle to overcome. A few examples of how hard it currently is and how easily it could be done and it seems that multi-language translations of GEB / CDN publications is in the future.